Jana Oliver is an Iowa native who now enjoys the sunny winters in Georgia. Sojourn was nominated for ten awards, including the prestigious Compton Crook Award for Best First Novel. Ms. Oliver lives in Atlanta with her husband and a variable number of cats. She is known to frequent Victorian pubs for “research”. She loves single malt scotch. Learn more at Jana Oliver’s website. Click here for more stories by Jana G. Oliver. Demon Trappers — (2011- ) Young adult. Publisher: Demon Trapper Riley Blackthorne just needs a chance to prove herself — and that’s exactly what Lucifer is counting on… It’s the year 2018, and with human society seriously disrupted by the economic upheavals of the previous decade, Lucifer has increased the number of demons in all major cities. Atlanta is no exception. Fortunately, humans are protected by Demon Trappers, who work to keep homes and streets safe from the things that go bump in the night. Seventeen-year-old Riley, only daughter of legendary Demon Trapper Paul Blackthorne, has always dreamed of following in her father’s footsteps. When she’s not keeping up with her homework or trying to manage her growing attraction to fellow Trapper apprentice, Simon, Riley’s out saving citizens from Grade One Hellspawn. Business as usual, really, for a demon-trapping teen. When a Grade Five Geo-Fiend crashes Riley’s routine assignment at a library, jeopardizing her life and her chosen livelihood, she realizes that she’s caught in the middle of a battle between Heaven and Hell. CLICK HERE FOR MORE DEMON TRAPPERS STORIES. 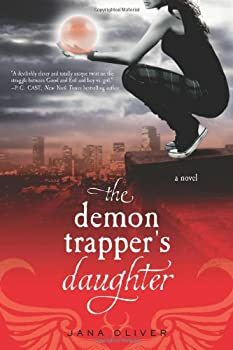 The Demon Trapper’s Daughter (titled Forsaken in the UK) is set in Atlanta, 2018. It’s not precisely a post-apocalyptic setting, but it’s a depressed one, with economic woes plaguing much of the population and demons living openly among humans. These aren’t angsty, misunderstood demons either, but fiends from Hell; the small ones are nuisances and the big ones are deadly. Seventeen-year-old Riley Blackthorne is an apprentice demon trapper. Her father is himself a prominent trapper, which causes trouble for Riley on two fronts. Other trappers think she’s trying to coast by on his name, and the demons hold grudges and would love to have a shot at Paul Blackthorne’s daughter. Time Rovers — (2006-2008) Publisher: London, September 1888. An aged Queen Victoria rules. The threat of anarchy hovers in the air. A new kind of evil lurks in the back alleys of Whitechapel. 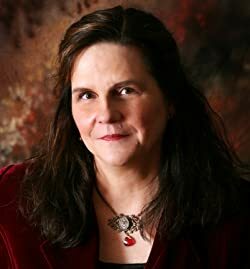 Enter Jacynda Lassiter, a Time Rover on a mission — find an overdue ‘tourist’ and return him to 2057 before he changes history. Victorian London is a dangerous place for the unwary. Mysterious shape-shifters haunt the streets, making friend and foe indistinguishable. When a fellow Time Rover is murdered, Jacynda’s mission becomes personal. Can she trust the two gentlemen who come to her aid, or do they harbor their own dark secrets? In a few days, Jack the Ripper will add to his bloody legacy. But old Jack isn’t the only threat in Whitechapel. Unless Jacynda can outwit a madman, her Victorian sojourn will rewrite history — and end at the point of a blade. Briar Rose — (2013) Publisher: For Briar Rose, life is anything but a fairy tale. She’s stuck in a small town in deepest Georgia with parents who won’t let her out of their sight, a bunch of small-minded, gossiping neighbours and an evil ex who’s spreading nasty rumours about what she may or may not have done in the back of his car. She’s tired of it all, so when, on her sixteenth birthday, her parents tell her that she is cursed and will go to sleep for a hundred years when the clock strikes midnight, she’s actually kind of glad to leave it all behind. She says her goodbyes, lies down, and closes her eyes… And then she wakes up. Cold, alone and in the middle of the darkest, most twisted fairy tale she could ever have dreamed of. Now Briar must fight her way out of the story that has been created for her, but she can’t do it alone. She never believed in handsome princes, but now she’s met one her only chance is to put her life in his hands, or there will be no happy ever after and no waking up. Tangled Souls — (2013) Publisher: Wiccan Gavenia Kingsgrave’s psychic gift, the ability to talk to the dead, comes with strings attached. As a Shepherd, she escorts them into the hereafter, but not all the souls want to cross over, and some can be downright vicious. When her latest case involves a heart-breaking hit-and-run victim, Gavenia is stressed to the max. The last thing she needs is a no-nonsense private detective on her tail, even if he is a handsome Irishman. Former homicide detective Douglas O’Fallon possesses his own psychic gift, one he’s denied for years. Hired by a wealthy client to prove that Gavenia’s a con artist, he is skeptical of the witch’s claims she can speak to the dead. If he finds her gift as genuine, then he will be forced to accept his own. When their two cases intersect, opposites attract. But will they be able to set their differences aside long enough to outwit their foes – both the living and the dead?